The Tor Browser is the user facing edge of a pretty darn interesting network of proxy and relay servers that are known as the Onion network or, to be more specific, The Onion Router. Tor. Get it? Anyway the primary purpose of the system is to allow free Internet access for people in countries where their Internet access is censored or controlled by the government. Turns out, however, that it works really well for everyone who pays attention to privacy and wants to ensure that they can remain anonymous on the Internet, whether they’re accessing the Web from home, school, work or a public access spot. The Tor Browser has evolved quite a bit in its user interface over the last few years, but it’s still rather different from the more mainstream (non-privacy focused) browsers like Chrome or Microsoft Edge or Safari. So I’m not entirely surprised that you are finding it a bit confusing. Fortunately I can step you through the main options so you can check for updates and auto-update your Tor browser as needed. To do this, I’ll be using the Mac version of Tor Browser, but it should be almost identical on the Windows or Linux side. With a total download size of 51MB, that’s a nice, slim program, quite unlike many other modern apps on your Mac system. You can restart later, but, really, why would you do that? 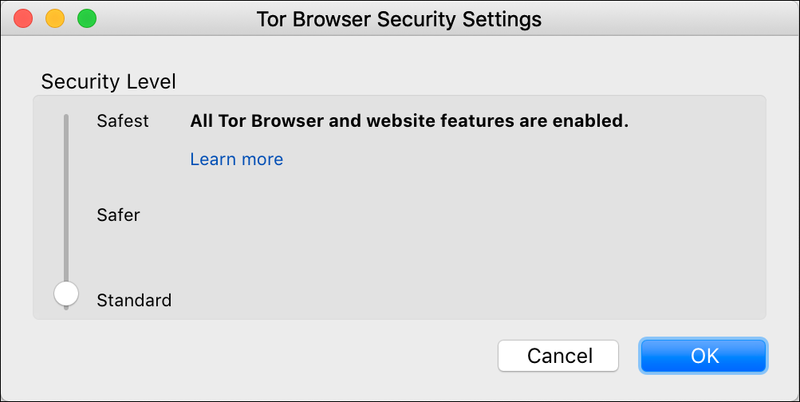 Click on “Restart Tor Browser” and it’ll install the newer version and start right back up in the same spot you were when you updated. In this instance, I’m connected to YouTube, but it’s my computer -> Canada -> Germany -> Switzerland -> YouTube, so YouTube actually thinks I’m based in Switzerland right now. More importantly, this makes it really hard for YouTube to track me and build up a profile of my usage patterns, searches or views. This is true for all Web sites, of course, from Amazon to the IRS. Don’t like this circuit? Click “New Circuit for this Site” and it’ll re-route you through another global path. You can do this every minute or two if you’re super paranoid (or dream of being a superspy like James Bond). So that’s the basics. I’m a fan of the Tor Browser, primarily for allowing citizens to sidestep government censorship. 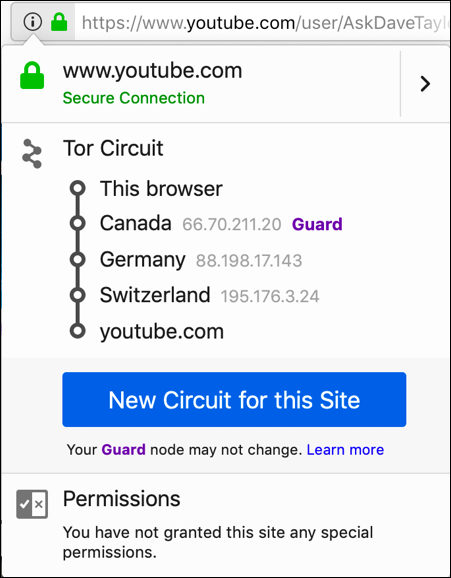 If you want to retain more privacy when you’re on the Internet, you might want to check out Tor Browser too. Oh, and it’s free. Pro Tip: I’ve been writing about privacy and other computer topics for years. Please check out my extensive computer help area!